Thank you for re-blogging! Have a great weekend! Hugs! Have a lovely weekend, too! This is art. This is life in motion. This is photography… brilliant! Thank you for your kind words. 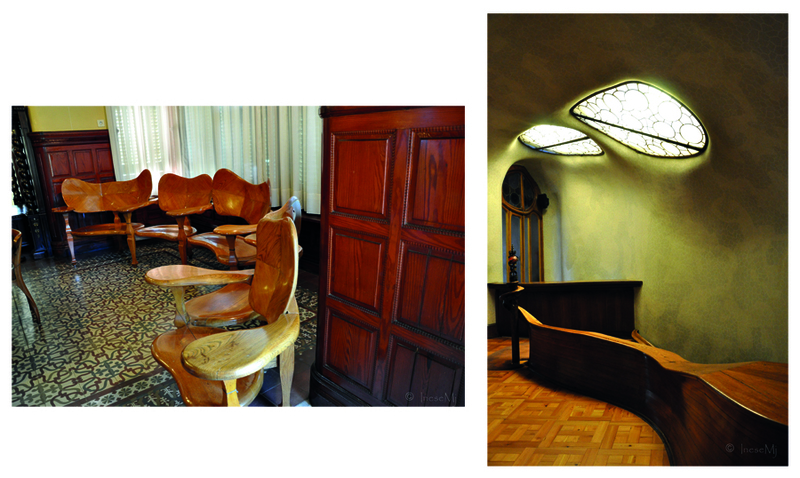 Gaudi was indeed one of the most talented people of the 20the century. Oh thank you for your comment Olga! 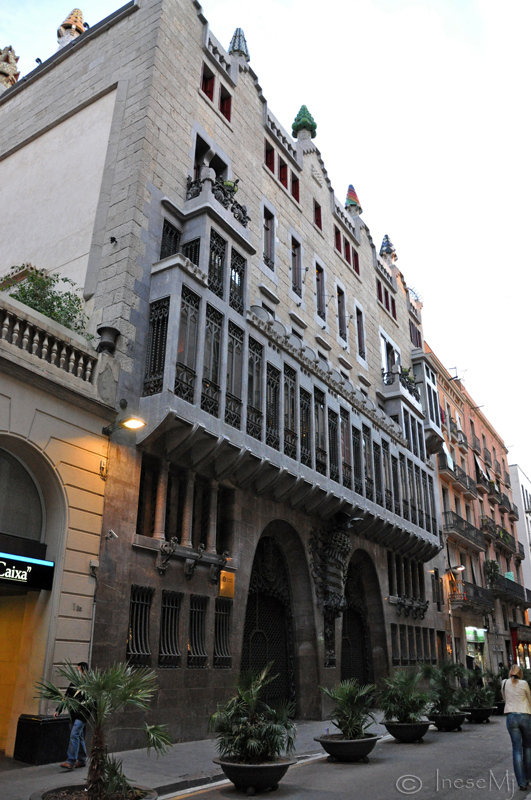 I know you are from this wonderful city, and I always think about Barcelona as a city of artists and writers. 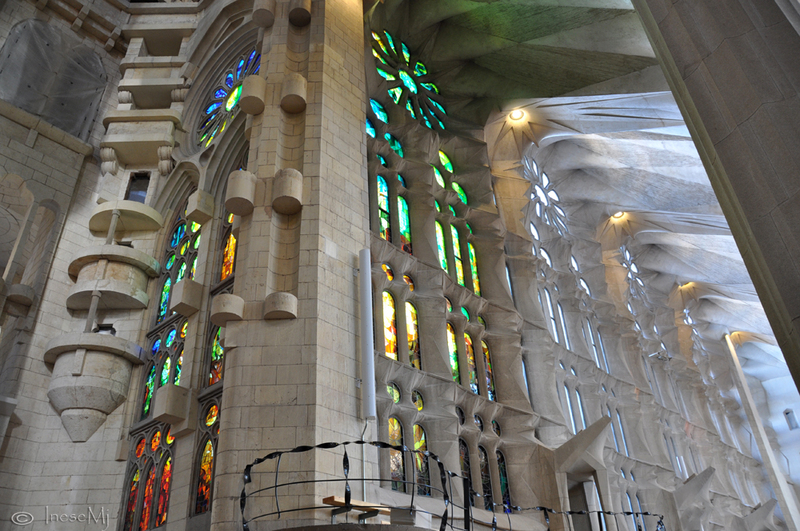 One person working on Sagrada familia! Bless that man! 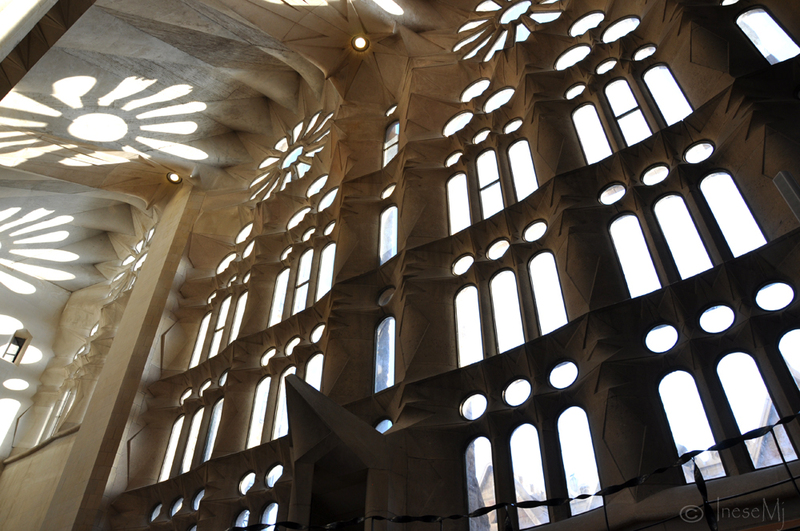 I guess that Gaudi might have had different ideas about the construction, but he left very little sketches, so whatever is done by the other architects is all right and good enough. I love the spirit of this city. 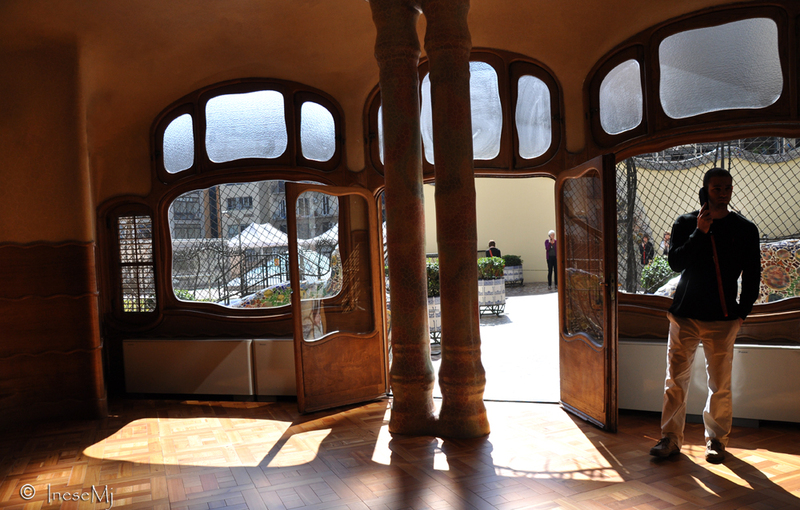 They don’t let you take pictures in Palau de la Musica Catalana, but i was inside and listened to the beautiful music – great acoustic. Thank you! 🙂 I would love to go again: last time I was walking with a stick and couldn’t get everywhere I wanted. Hmmm…I did not know that. That guy really got around. Imagine what he could have shown us if he had a camera back then. 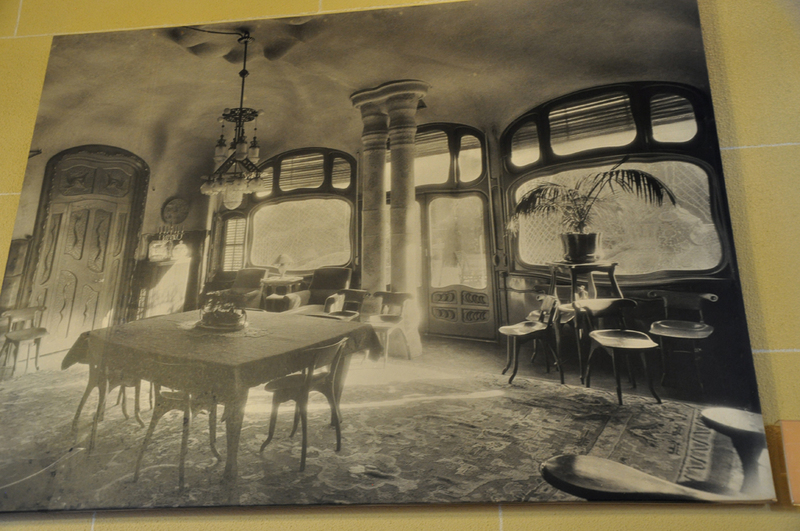 I think he may be an Art Nouveau architect, and I love that style. Learned something new today. Another great mind I need to look more into, thanks for sharing. Thank you for reading! A great mind he was indeed. 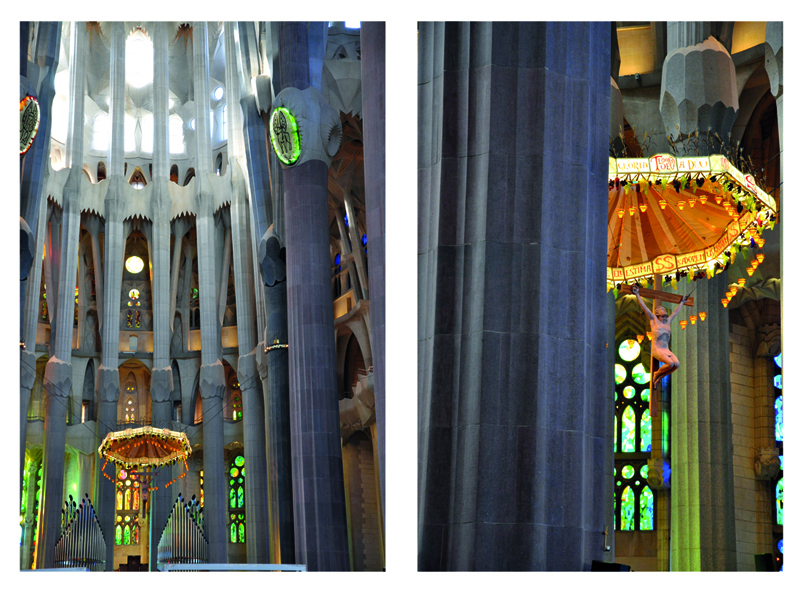 The Sagrada Familia is so magnificent, and that is just judging it from your photos. The otherworldliness is shining through. You say it so wonderfully – otherworldliness! I too think that he received his knowledge from the Universe. 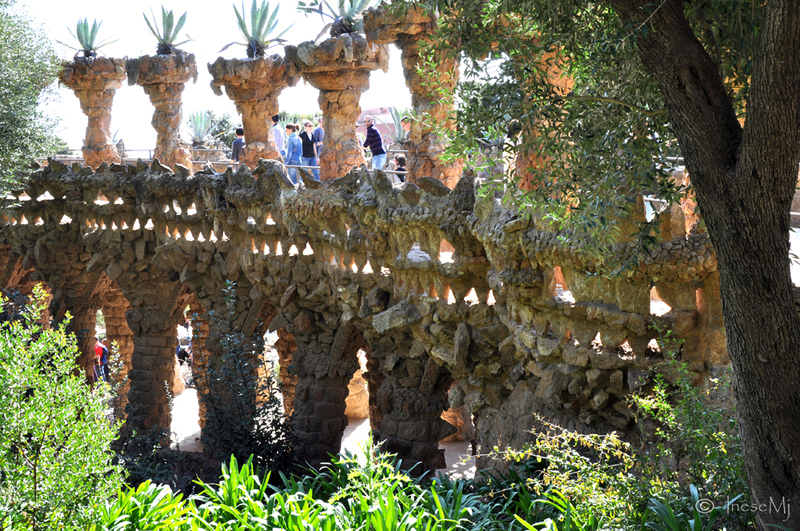 Ines, I admit I had not heard of Gaudi before reading this post. 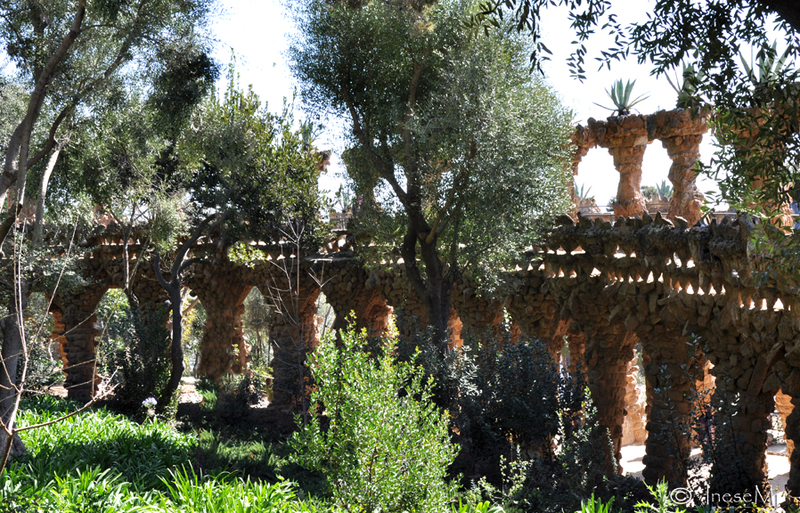 I now see how creative-minded he is and enjoy the three-dimensional architecture he brings to the world! I like it! Thank you so much for reading, Christy. No one heard of him 25 years after his death until the 1950s. He hasn’t left followers and writings, just a few letters and sketches. He came to this world, made an impact, and disappeared. True genius. 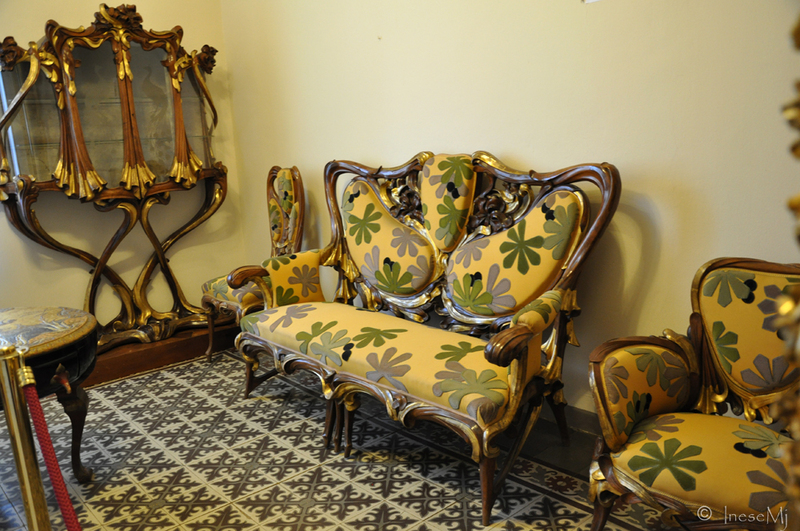 That was some amazing pictures, pity the man is not around to furnished my hopefully future apartment. 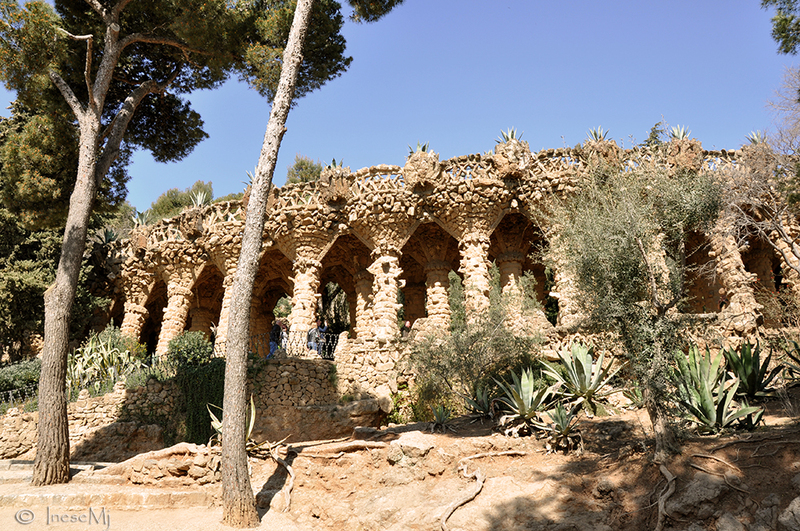 My favorite work by him is the Park Güell, but my dad, who is architect, is a huge fan of The Sagrada Familia… Which is your favorite one? Inese, this was the most wonderful architecture and cultural tour. Thank you for sharing and expanding my knowledge! many wonderful photographs.. would love to see these houses.. noticed on your home page you’re interested in family history.. would love to find out more about my mums but because it is from somewhere else, having much trouble. My mothers father is Ukranian and her mother probably Finnish or maybe Lithuanian – we dont know. My grandfather had a Jewish name. They married in a part of Germany which is now Polish and difficult to communicate and find the marriage record. They moved to Berlin but didnt stay togethor. The War did lots of damage in these countries, many archives were destroyed. It is why I asked which country she is from – in some countries you can track the records back to the Middle ages. So the place to look for the records is Germany, right? I will have a look if they have got any decent database. If he was a priest, he kept the records in the church book. I got a free membership in one of the genealogy sites last week, but for some reason it didn’t let me in when I tried to log in – something wrong with my number. When I sort it out I will let you know. thankyou … please dont worry, have been tracing my ancestors on one of these – my dads side is the easiest and have got back to almost 1600s… mostly fishermen and farmers.. the odd shoemaker and a smuggler or two supplementing their income on his dads side. Isn’t it fun to learn all these stories? I loved all your shots but those last four are fantastic. 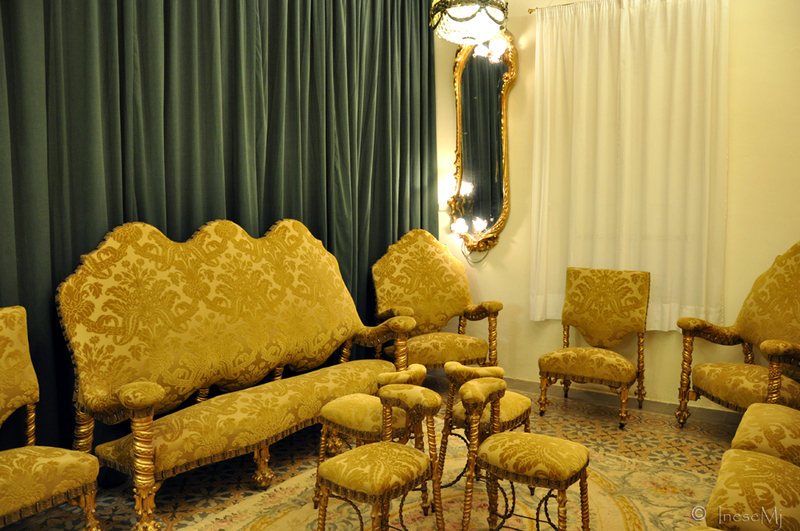 They give such an impression of color and light and a sense of the space they occupy…a tricky shot to get! Well done! Thank you! The place is designed to let the light work at any time during the day. Stained glass, shapes, openings, light beams and shadows – everything is calculated and works as a whole living organism. 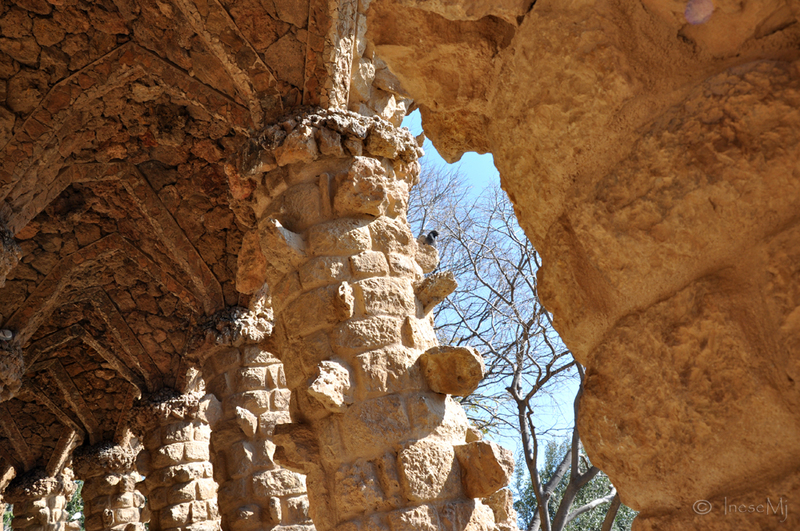 It is beyond any known architectural creation. Barcelona. Have never been there. But now yes! You made me a shot trip to there. 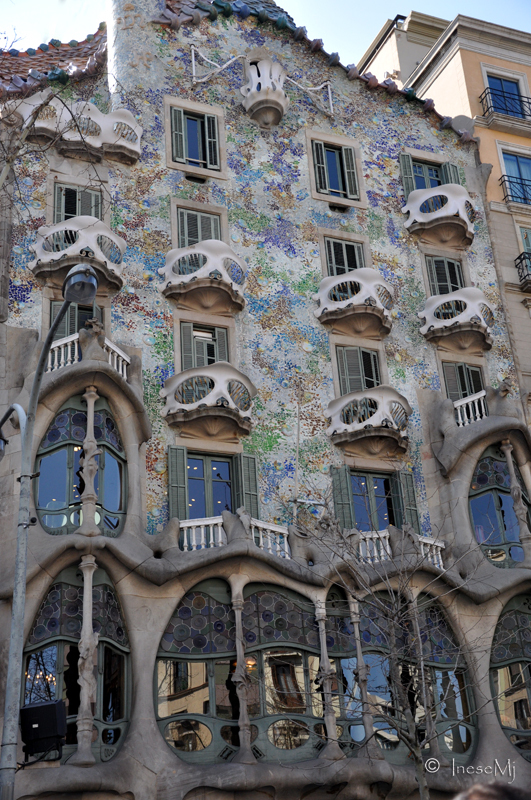 Really loved these interesting yet beautiful architecture of Gaudi. Really always love to watch your clicks. I know!! 🙂 Those photos had already done the magic in me! SO, there is no chance to reject it. 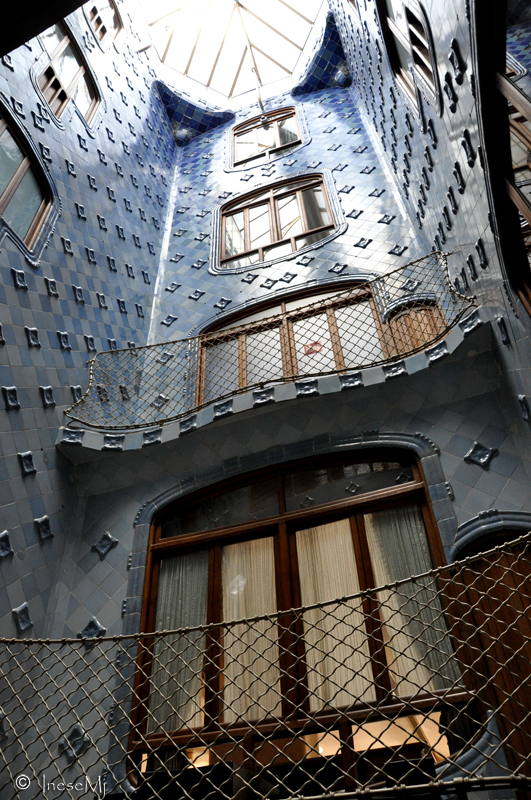 Great post of Gaudi! 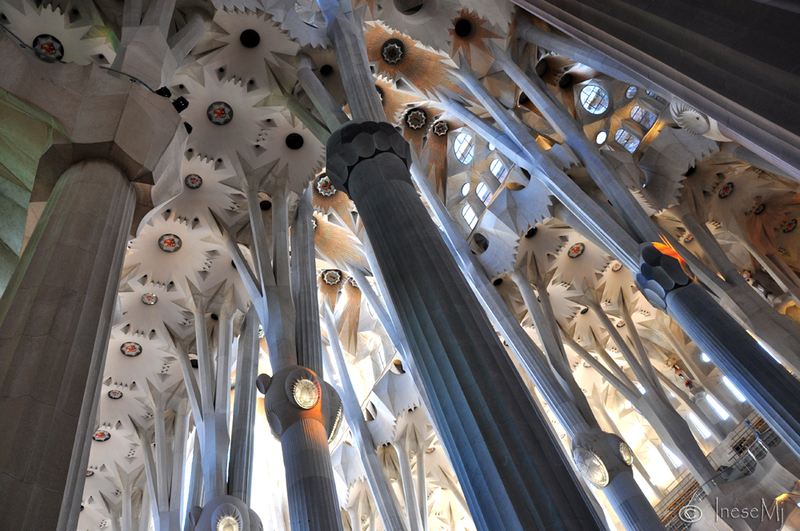 I love the way you combine it with the video, Gaudi was convincingly a genius dreamer through this post 🙂 The photos that you took in Sagrada Familia are beautiful! 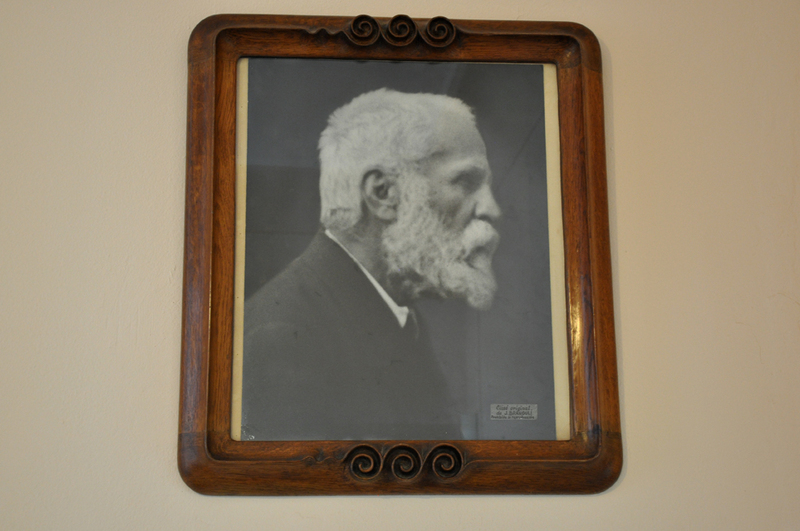 And many thanks for linking it to my post! Hope you had a wonderful weekend – I just return from a long weekend trip and now looking forward to catch up. Have a great week ahead! Look forward to seeing your new pictures. I have never been to Barcelona or Spain. Looks like a beautiful place. Really enjoyed the architecture images! Many thanks for this. 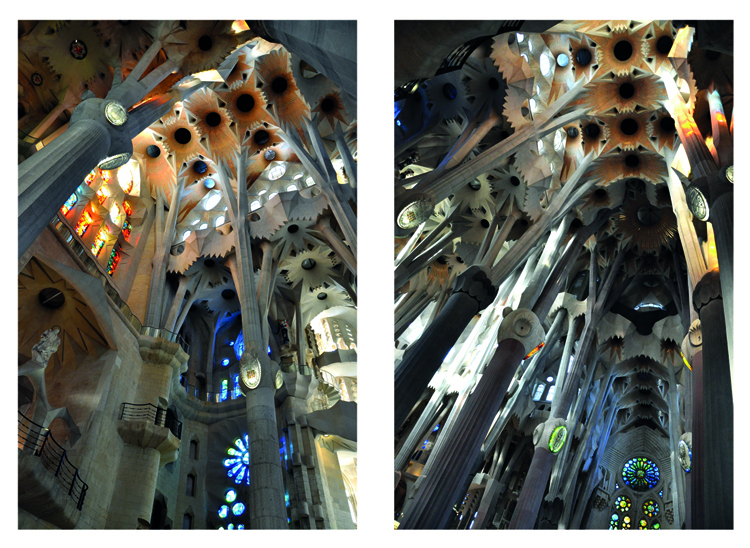 I’ve been a Gaudi fan for a long time. It’s such fun to look at the things he made. This is a really lovely spread. Thank you so much for your kind comment! I wasn’t sure that many readers would like him and I really glad they do 🙂 There are just a few people like him born into this world, passing the eternal knowledge to humanity. Thank you Montserrat! 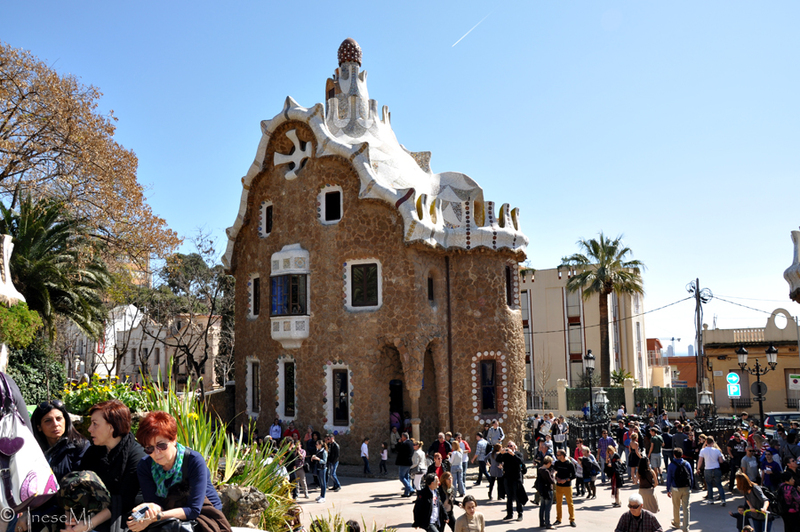 People who knew him personally are blessed, and especially people who understood his vision, like the family from Casa Batlló who trusted him to rebuild their home. I cannot believe that they actually lived there, in that sanctuary 🙂 Lucky people! 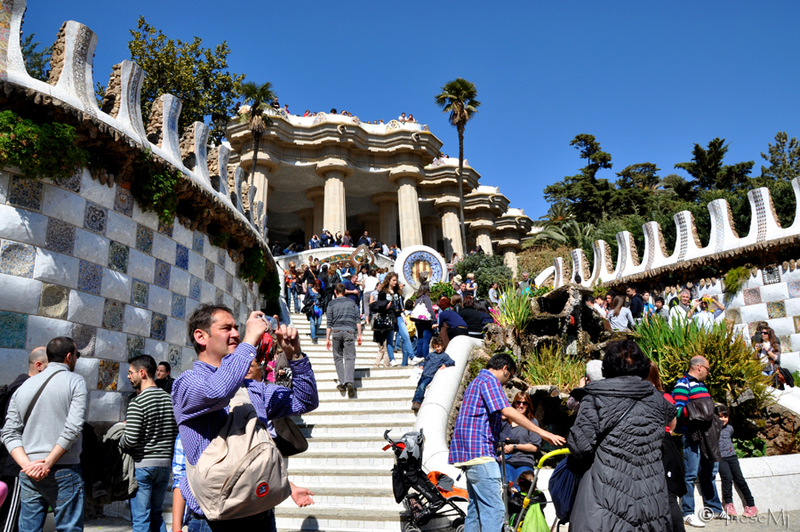 My family is all from Barcelona and it has been quite a few years since we visited last. Thank you for this great post, I enjoyed every minute. Thank You for sharing these glorious pictures, Inese. 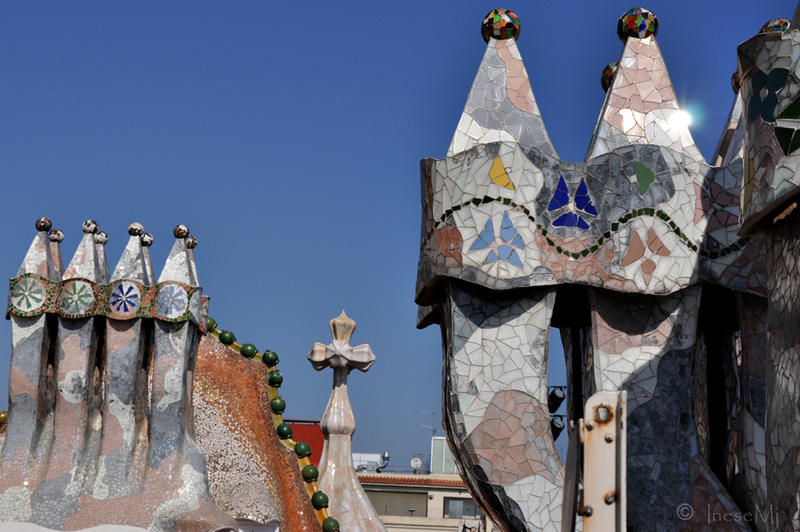 Gaudi – my favourite architect of all time. a small honour to a great man. Inese, thank you once again. Some good prep for my visit to Barcelona at the beginning of next month! Oh my goodness, then I have to quickly post another piece of info 🙂 Seriously, it is one of the most wonderful places in the world! Beautiful work you did. 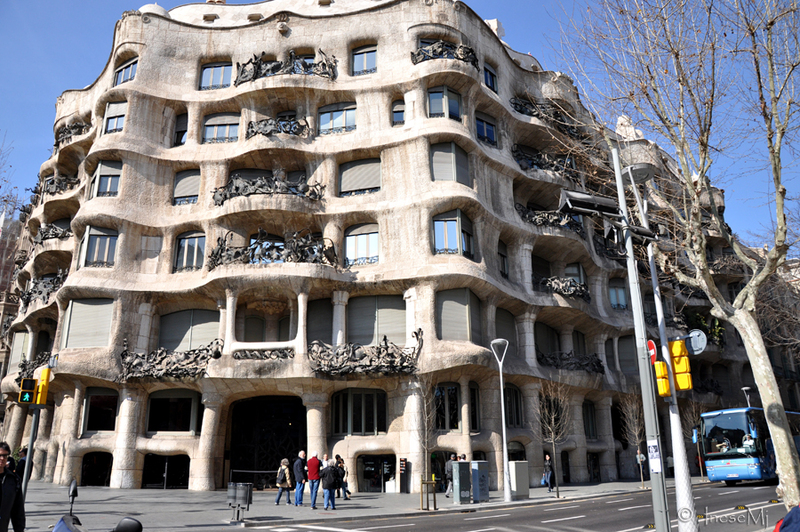 And a great architect Gaudi was. 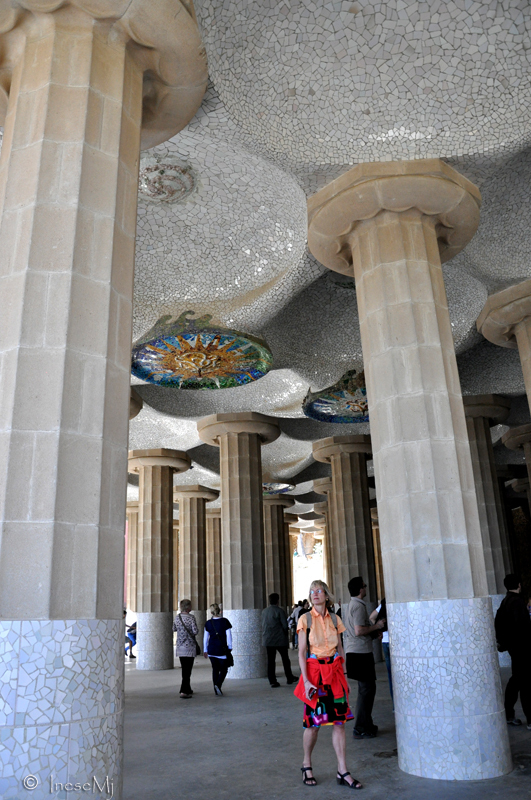 The architecture is amazing. I really like the album. It has been years since I’ve listened to Alan Parsons. He get some periodic play on our local indie radio station. I love, love, love these!!!!!! Isn’t he an amazing human being? He is so amazing. 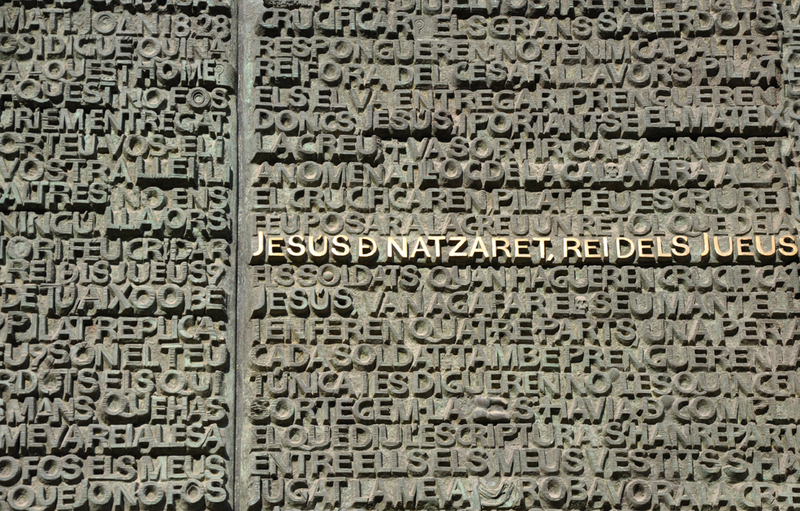 I have looked at hundreds of photographs of his work and always there are details I never saw before. 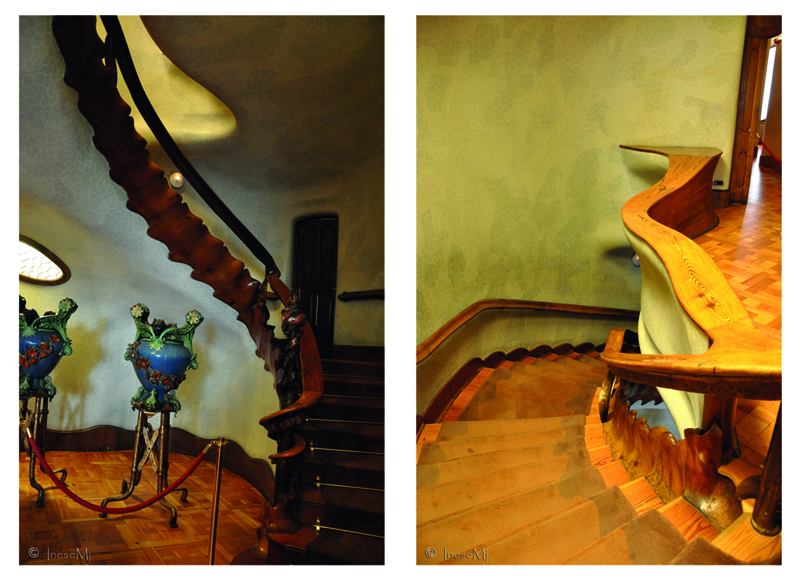 Your photos are gorgeous – I love the shots you made of the stairwell in Casa Batlló. The show how he seems to have allowed the wood grain to create the design. Isn’t it amazing? He was working with the simpliest things, sometimes with the waste materials. 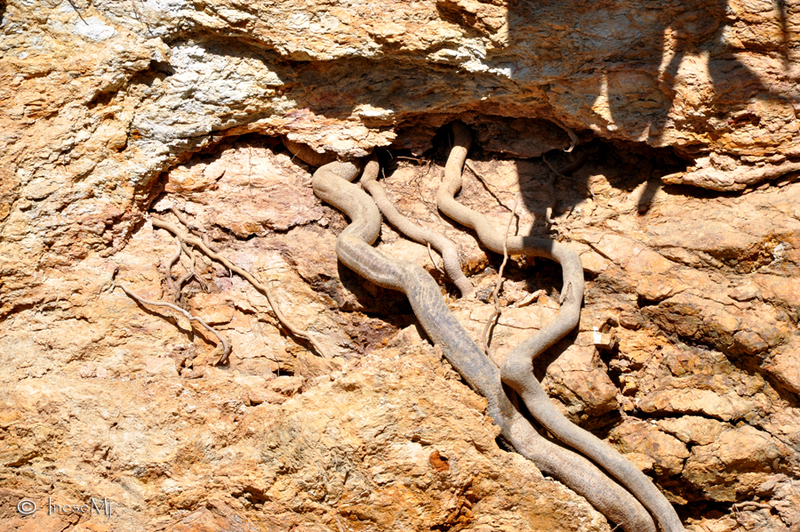 And as you say about that stairwell – he let the natural properties of material speak. 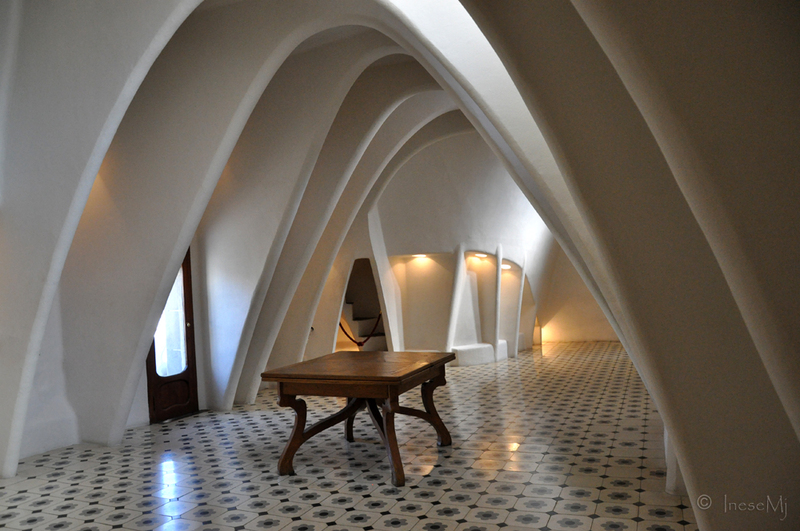 The ceiling and the shapes of pillars and windows are modern by yet remain the reminding of the old style castle. Very interesting work.. 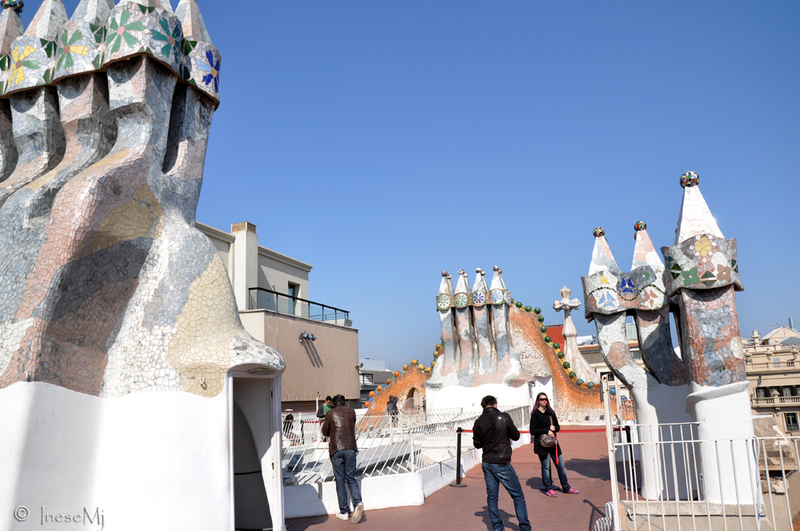 I have this “Gaudi” album. Yes, on vinyl. 🙂 Haven’t heard it for years. I will listen to it now. Thank you! I’ve not seen his architecture before. Complexly marvelous, Inese! He invented “over-the-top” looks to me. Have a great Sunday too! Thank you for this! I love his designs. You’re right, he was way ahead of his time. Thank you for your comment! Some people are bestowed with genius to enlighten the path for humanity centuries ahead. Wonderful post and photos! 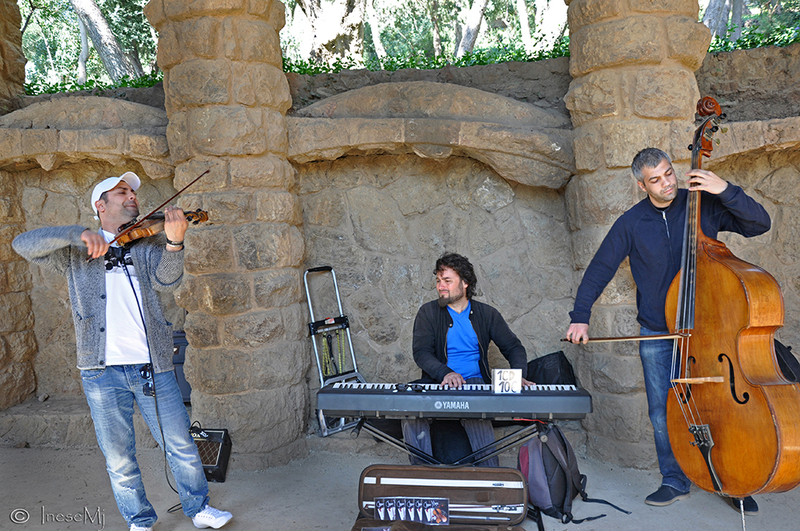 Had wonderful 4 days in Barcelona!